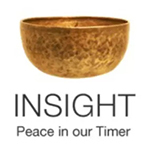 Investigation as an important part of the Insight Meditation experience. After the practice of meditation, chances are we have cultivated a more spacious compassionate awareness that allows us to look at the nature of mind with less fear, judgment or expectation. In meditation, we practice just being present with physical sensations, thoughts and emotions as they arise and fall away. After we meditate, when our thoughts ramble, rather than reminding ourselves to return to the breath or another physical sensation, we can add in some curiosity and follow the thread of that curiosity. At some point we might notice that we keep having a recurring thought. Instead of simply accepting this thought as true, blocking it out or dismissing it, we allow ourselves to look more closely. I’ll talk a little bit more about the content of the thought shortly, but it is probably pretty mundane and easy to overlook. What makes it worthy of investigating is its repetitive nature. It’s a central player in the pattern of our thinking mind. It might even be driving the inner conversation. So we do a little friendly interrogation, using simple questions — not to find fault or place blame but to shine a light on what is really going on. No crime has been committed here. There’s no need to rough anybody up. So, if you are reading this in a spacious state of mind and with a relaxed body, then I suggest you pause and think about something else (how often does a writer ask you to do that?) Just let yourself think your regular thoughts — what you plan to do today, what you did yesterday, letting your mind wander, even as you continue to pay some attention to overall physical sensations. In this way you might notice if you start tensing up somewhere in your body. Now see if you can identify what thought or emotion is connected to that tension. What were you thinking about that seems to have caused your jaw or shoulders or some other body part to tense up? Spend as much time exploring this as you need. Even let it go, relax and release, and then return to allowing your mind to wander. When a thought causes some tension and feels familiar, you can use it for your exploration, even if you think you might find a better one if you keep looking. This is just to give you the experience of how to do the exploration. You can do it again whenever you want. The funny thing about the thought is that you might not even recognize it as anything but just the truth. Thus it is hard to spot! It is hidden in plain sight. Naturally our first inclination is to agree with the thought, to build a stronger case for it with numerous examples that support it. It becomes what feels like a very solid part of our perceived identity. It is our story, and we tell it again and again. Even if it’s very negative, we still may cling to it. It’s not much, but it’s ours. This well-developed story probably affects everything else we think or feel, the way a small amount of dye can tint a large body of water. Thus we are most likely making ourselves miserable, and quite possibly spreading that misery in all our relationships. “Is this true?” Hmm. There is likely to be some discomfort in questioning something we have taken for granted for so long. But at the same time we may begin to see that our tight clinging to it is uncomfortable. Just look at the way it causes tension in the body, and that’s just a part of the discomfort. “Is this true?” Right off the top of our heads, we say of course it’s true. After all, we’ve bought into it all these years. Why wouldn’t we believe it to be true? Eventually there may be a slight shift and a different response comes up from someplace a little deeper, a little more heartfelt, a little more true. This second question really challenges us to look at our assumptions. It makes us see the statement in full context. Where did this idea originally come from anyway? In this state of compassionate awareness and gentle investigation it is possible to see the thread that connects the recurring thought to something or someone in the past. We may even be able to hear in our heads the voice or the exact wording of the person who originally gave us this idea. Or we might recognize the traumatic experience in the past that continues to make us fearful. One member of our group said that she recognized the source, but that the original was even more insidious, that she had modified it to fit her better, but the content was still clearly there. If you do see the connection — immediately or much later — then there’s another opportunity to question with spaciousness, respect and compassion, whether that original source was reliable. Whether it came from a parent, a teacher, a friend, an ex or a schoolyard bully, you can recognize in retrospect that they were not omniscient possessors of all wisdom. They were human with all the foibles of any other human. Chances are, if the statement being examined is painful (as in ‘I’m so dumb’) or circuitously sets us up for pain (as in ‘if only’ statements), then the source of the statement was also in pain. Sometimes the origin is not some specific person but just seems to be part of the culture. Advertising activates a lot of fear-based ‘if only’ thinking. (I used to be in advertising. Talk about insidious!) There are a lot of people banking on us feeling badly enough about ourselves that we will succumb to their assurances that their product or service will fix us up. We are often so busy in our lives that we just don’t take the time to make such investigations. We might judge it as self-indulgent navel-gazing. But wait. If we are telling ourselves something that is not true, that is from an unreliable source, and we are making ourselves miserable in the process, then isn’t it worth a few minutes that we otherwise might spend watching a ball game or reading a novel — trying hard to escape from that harsh judgment or nagging thought? Of course it is. So if you have already developed a daily practice of meditation, you are cultivating awareness and compassion, that likely is improving your mood, providing more balance, and softening the way you interact in relationships. Now, consider making good use of that time right after meditation — while you do some exercise or simple quiet household chores or personal hygiene perhaps? Whenever you happen to notice a harsh thought arising, a put down, a wish for this moment to be different, celebrate that noticing! And investigate! This entry was posted in inquiry, insight, questioning, self-exploration, self-image, self-loathing, Uncategorized and tagged Buddhist exercise, experiential practice, insight meditation, meditation, self-discovery on May 13, 2017 by Stephanie Noble.